Milk is excellent source of Calcium – a mineral essential for healthy bones and teeth. Cow’s milk is fortified with vitamin D, which also benefits bone health. Calcium and vitamin D help prevent osteoporosis. On top of these, milk also provide us protein, and other essential minerals such as magnesium, zinc and potassium. It is no wonder milk is often touted as a super beverage! decreased calorie intake in the subsequent meal (American Journal of Clinical Nutrition, 2009). 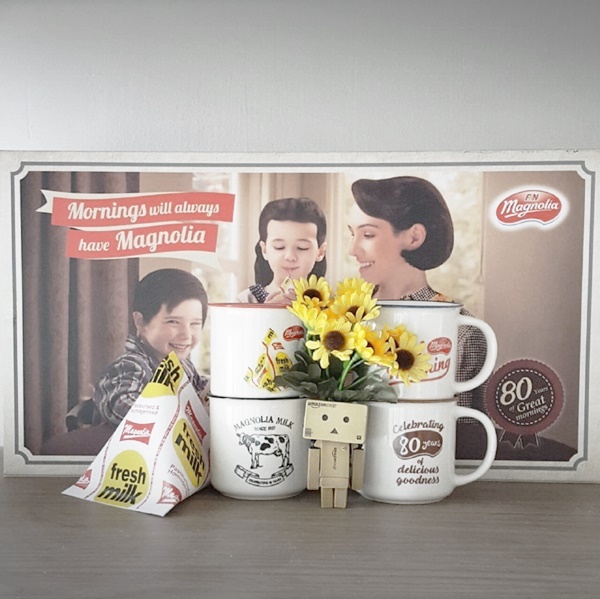 MAGNOLIA has championed milk consumption and has taken centre stage on breakfast tables in many households as a faithful steward of nutrition with its iconic pyramid-shaped milk packs since it’s debut in 1937. Since then (it’s been 80 years! ), MAGNOLIA has been a vanguard of nutrition, nourishing the body and mind with nutrients to kick-start the day of most Singaporean. Both young and old, across generations has been enjoying it and helped MAGNOLIA earned its reputation as Singapore’s trusted brand of milk. MAGNOLIA seeks to satisfied consumers who discerning of the food they consume, and never too complacent to improve on the range of products they offered. The MAGNOLIA Plus range – MAGNOLIA Lo-Fat Hi-Cal Oat Milk or MAGNOLIA Omega-3 Lo-Fat Hi-Cal Milk have been certified as Healthier Choice by Health Promotion Board. I super love it’s Lo-Fat Hi-Cal Oat Milk, not only it taste yummy (and break the myth that healthy food will not taste nice! ), I also find it helps to boost my breast milk supply during my breast feeding time. two bottles of MAGNOLIA Yoghurt Smoothie (800ml). Redemption is available from now till 31 March ’17 at most supermarkets, hypermarkets, participating convenience stores and provision stores, only while stocks last. Quick grab them before they are gone! For more information, visit http://www.magnolia.com.sg/whats-up/ or http://www.facebook.com/magnoliaSG.